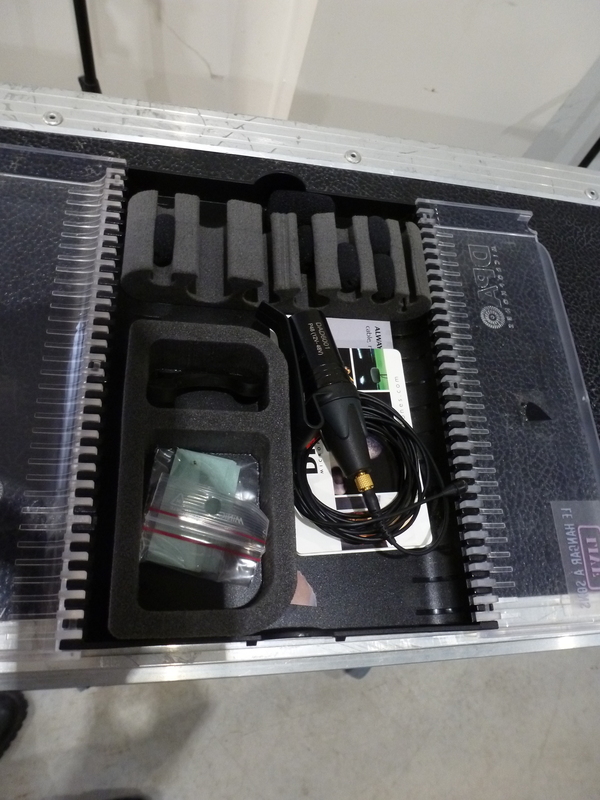 imk4061, Electret Microphone from DPA Microphones in the d:screet series. 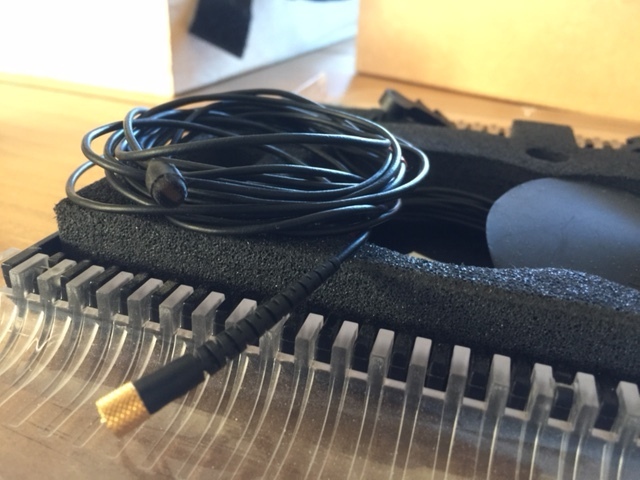 This is an electret microphone very small, that can be placed directly on the instrument, although it is indeed a micro air (> <micro-contact). It has an omni polar pattern. 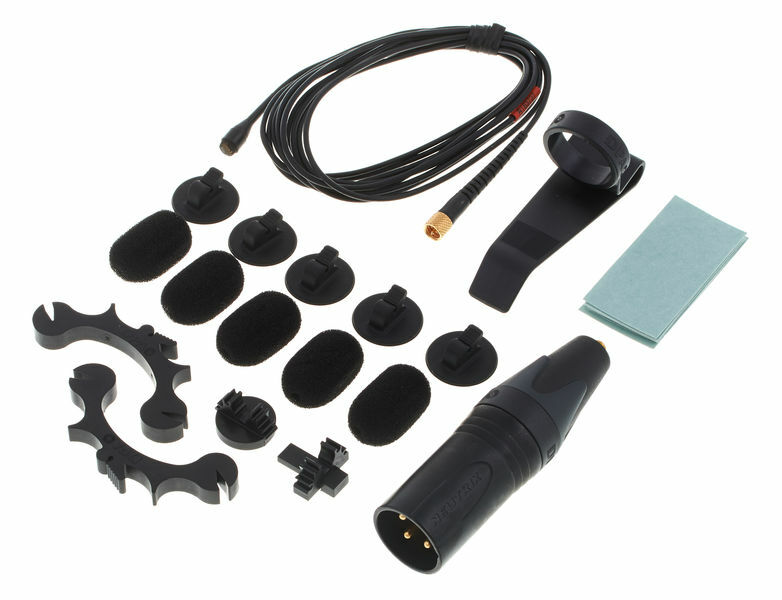 In this kit, microphone (DPA 4061) comes with an XLR adapter and various types of fasteners, which is necessary with this type of microphone. For cons, the power supply is not included, but phantom power is appropriate. I use it for several weeks. With its capture omnidirectional, it offers a very natural sound, despite an investment in close proximity (I up to 2 cm from the bridge of my violin). Although this is a model for medium-speed (compared to the DPA 4060), its output level remains very high. In fact, a microphone input, I do not need to amplify many (twenty dB). The value is excellent, especially considering that the DPA, but at prices incomparably lower than the microphones "large size" of the manufacturer. I have not tested live, the main reason for purchase (besides the fact that the placement of the instrument leaves free to move while playing). 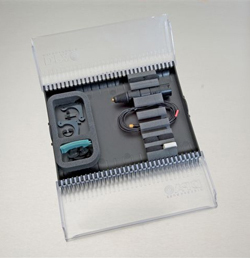 One doubt: when the microphone is plugged into my MOTU Traveler, I have a little digital noise and I am not yet able to determine if the fault lies at the microphone or sound card. 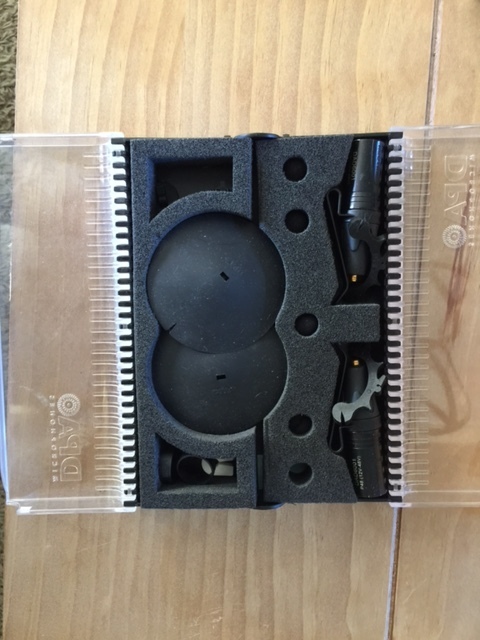 After a test on a micro recorder Fostex FR-2, it seems that the microphone is to be exonerated because the noise disappears. He is omnipresent. What is interesting is that it is not specifically dedicated for a particular instrument. It really captures what happens. Very nice bass, accurate and precise highs and never aggressive. The dream! I use it for 6 months on a classical guitar (nylon), an instrument still very difficult to add sound. It is a microphone that picks up the sound of the instrument with great natural and fidelity, highly insensitive to feedback. It attaches directly to the table of the guitar thanks to a double-sided tape is not very practical, is the only point seems doubtful. However, it does not damage the varnish. Much more interesting than a microphone placed in front of the instrument because the sound is no longer dependent on the position of the instrument. Value for money really good when you know how much are the other brand DPA microphones. That's what I tried so far better especially in terms of comfort and transparency. Omni miniature microphone (the size of the eraser on a pencil, as stated elsewhere). Qq I used 4061 and I also have 4060. Most? Associated with its size! Recently, I taped (in the sense of the word, with gaffer) hearing on the low side (left hand) of an accordion. It works great! The other time, I had pasted a (4061) (figuratively this time) on the front of a D112 in a bass drum, to record a rehearsal. A young drummer, who pulls in a remake of Red Hot. Oumph! The track with the D112 has remained in the closet. In my opinion, it can almost do anything with these microphones. I broke the head several times to boost bass in a bad concert ... I am sure that with a 4060 or two well placed, it must be awesome. I would do if the choice? Ben I think 4 and I stop to buy 6. 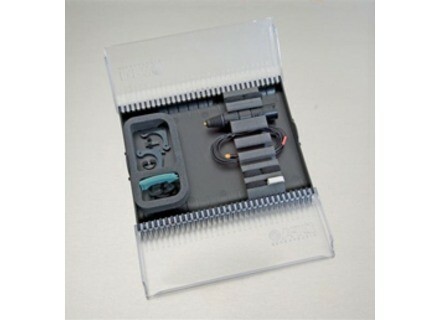 But be careful connector Micro Dot, quite sensitive to bad contacts. And, well, do not walk on it. Sounds silly, but considering the size, it is not a joke!